After losing two Seminole Wars, the U.S. government passes the Armed Occupation Act of 1842, promising free land to armed settlers with enough courage to settle in Seminole-inhabited southwest Florida. The men and women of the Wilcox family accept the challenge, and drive their livestock from Georgia into southwest Florida to set up a cattle station, which flourishes until the Civil War. 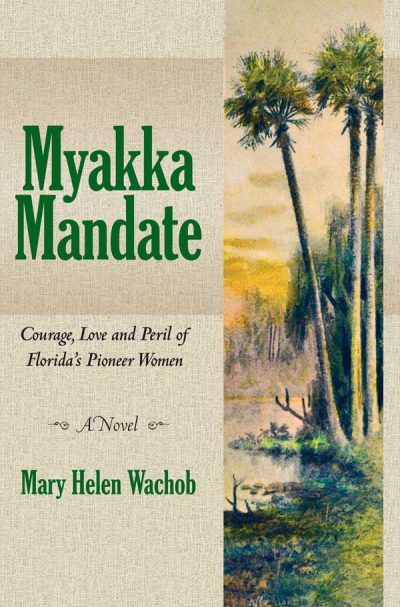 Through the people of Myakka Mandate, Mary Helen Wachob offers a fresh and meaningful look at the inventiveness, perseverance and dignity of pioneer women you won’t easily forget.